The track, produced by Lamb (Beyoncé, SWV, Monica) and written by Elliott, is accompanied by a groundbreaking companion video, co-directed by Elliott and her longtime GRAMMY® Award-winning collaborator Dave Meyers (“Lose Control,” “Work It,” “We Run This”). “I’m Better (Feat. 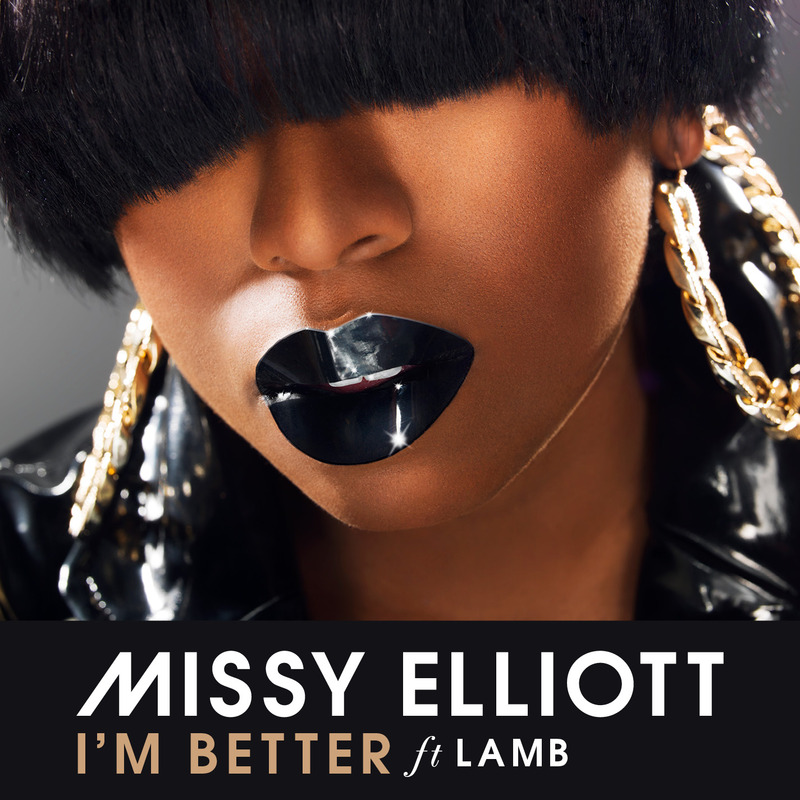 Lamb)” via Missy’s official YouTube channel. One of the most significant female artists in contemporary music history, Elliott has returned to her rightful place in the spotlight in recent months, include this week’s announcement of an impending guest star appearance on FOX’s new Lee Daniels-produced series, Star, airing Wednesdays at 9 pm ET/PT (check local listings). Last year saw the GRAMMY® Award-winning icon making a wide range of high-profile appearances, spanning Amazon Echo’s “Dance Party” commercial for Super Bowl 50 co-starring Alec Baldwin and soundtracked by her 2016 fan favorite, “Pep Rally” to a remarkable collaboration with Marc Jacobs on the designer’s Fall 2016 campaign. Elliott officially returned to the music scene with 2015’s “WTF (Where They From) (Feat. Pharrell Williams),” available now at all DSPs and streaming services. Produced by Williams (Adele, Kendrick Lamar), the track was first unveiled as the official theme to ESPN’s kickoff coverage of the 2015/2016 NBA season and had its official world premiere with hourly plays across all iHeartRadio Urban Mainstream outlets. In addition, the “WTF (Where They From) (Feat. Pharrell Williams)” companion video – directed by Elliott and Meyers – premiered high above New York City’s Times Square via Apple Music’s massive Beats 1 billboard and has earned over 48 million individual views thus far via YouTube alone. March 2016 saw Elliott unite with former First Lady Michelle Obama for “This Is For My Girls,” an all-star anthem to female empowerment executive produced by AOL’s MAKERS and performed by Kelly Clarkson, Chloe x Halle, Missy Elliott, Jadagrace, Lea Michele, Janelle Monáe, Kelly Rowland, & Zendaya. Elliott also joined the First Lady for a number of public appearances, including her 2016 keynote address at Austin, TX’s South By Southwest (SXSW) as well as a surprise drop-in on CBS’ The Late Late Show With James Corden’s classic “Carpool Karaoke.” “This Is For My Girls” is available now exclusively on the iTunes Store, with all proceeds going to support the Peace Corps Let Girls Learn Fund. Missy Elliott is of course a groundbreaking solo superstar, pioneering producer/songwriter, and across-the-board cultural icon. The four-time GRAMMY® Award winner – with nominations spanning three decades – has achieved unprecedented success, including U.S. sales in excess of 30 million. Missy’s six studio albums (including 2001’s landmark “MISS E… SO ADDICTIVE” and 2002’s blockbuster “UNDER CONSTRUCTION”) have each been RIAA platinum certified or better, marking her as the only female rapper to achieve that milestone accomplishment. Missy lit up 2014 with a series of surprise event appearances, joining Pharrell Williams to open the BET Awards with a “Come Get It Bae/Pass That Dutch” mash-up, reuniting with Da Brat and Lil Kim at the Soul Train Music Awards for their 1997 breakthrough, “Not Tonight (Ladies Night Remix)” – the trio’s first live performance together in more than 16 years – and of course her unforgettable performance at 2015’s Super Bowl XLIX. Missy joined Katy Perry for the historic happening, wowing 118.5 million viewers – the largest ever audience in Super Bowl history – with a medley of “Get Ur Freak On,” “Work It,” and “Lose Control.” Digital sales skyrocketed in the following days, with both “Get Ur Freak On” and “Work It” returning to the top 40 on Billboard’s “Top Singles” chart more than 10 years after their initial successes. 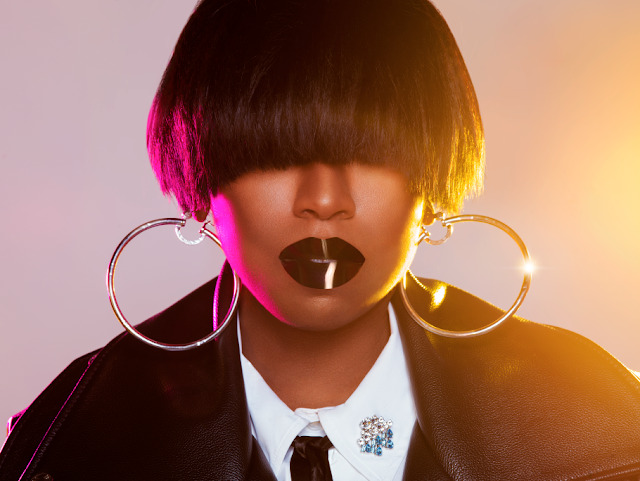 For more news and information, please visit www.missy-elliott.com, www.facebook.com/missyelliott, www.twitter.com/missyelliott (@missyelliott), www.youtube.com/missyelliott, https://instagram.com/MissyMisdemeanorElliott (@missymisdemeanorelliott), and www.atlanticrecords.com.